Aberlour - the mouth of the Lour burn. Gaelic "luath ir" - "strong water". Aberlour has its own Distillery, and is overlooked by The Macallan Distillery, and the Spey Larder carries a fair selection of whiskies, but for specialist whisky shops you should go to Dufftown (Whisky Shop Dufftown) or Elgin (Gordon & MacPhail). Speyside Way on track of former railway. Macallan Distillery is on the hill across the river. On the OS map grandly titled as Charlestown of Aberlour. This refers to the founder of the town, Charles Grant who named it after his son Charles. He also named Archiestown across the Spey after another son. The brothers did not get along, and the Aberlour church tower lacks a clock on the side facing across the river to Archiestown, supposedly to prevent the residents of Archiestown knowing the time. Aberlour is on proposed National Cycle Route 79, but there has not yet been any development of this route. 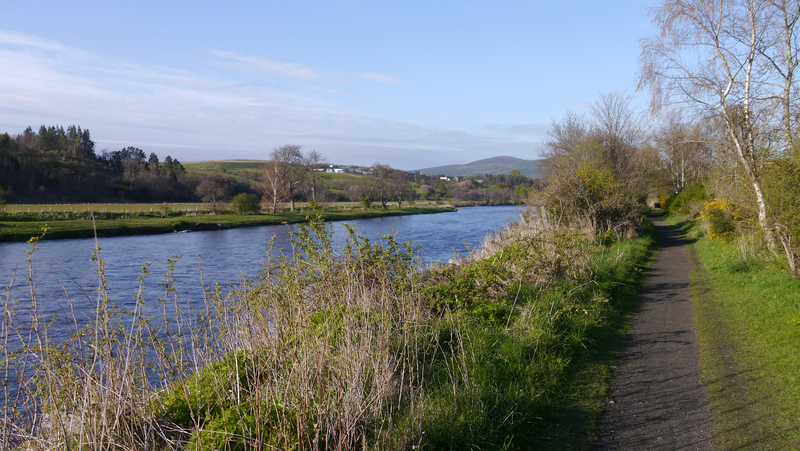 There are plenty of local cycle routes, including the Speyside Way, which passes through Aberlour. 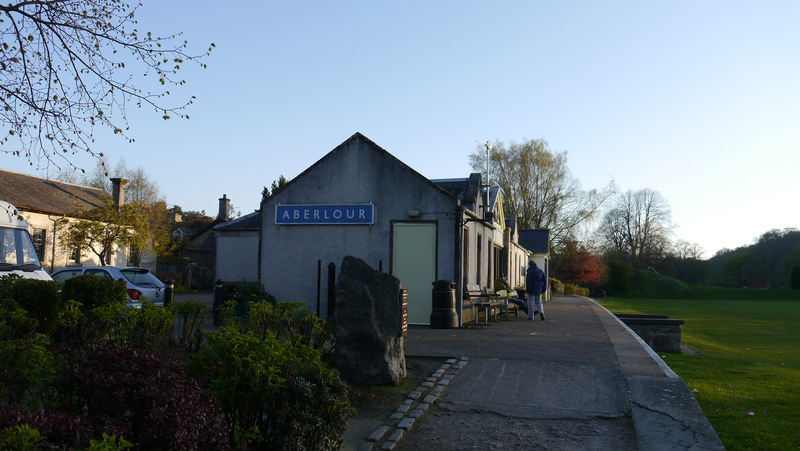 Aberlour's station is long closed - the platform and station buildings (now the Speyside Way Visitor Centre and a teashop) are near the river and the Mash Tun. Nearest stations are Elgin (ELG) (14 miles), Keith (KEH) (14) or Aviemore (AVM) (34). Live train times: ELG, KEH, AVM. 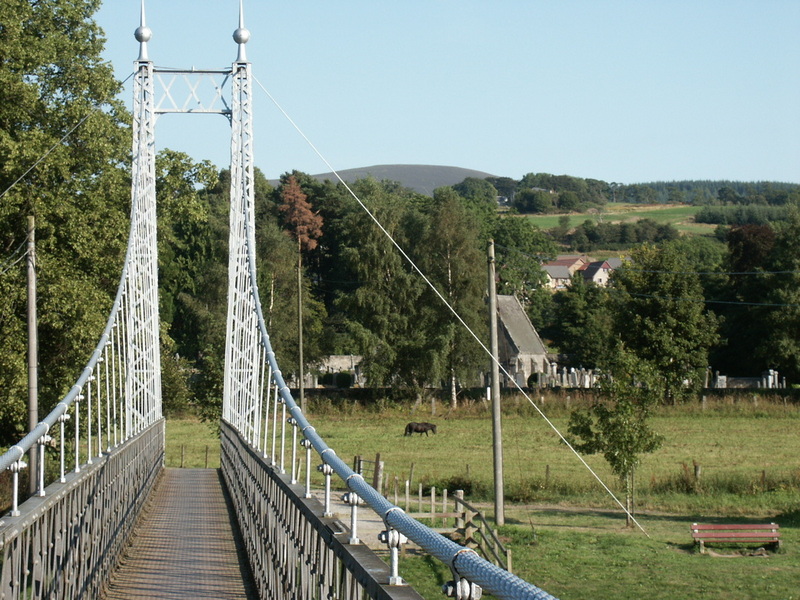 There are two preserved sections of the railway which used to run through Aberlour (Strathspey Steam Railway at Broomhill (24); and the Keith & Dufftown railway at Dufftown (5). 5 rooms each named after a distillery - Glenlivet, Glenfarclas, Glenfiddich, Macallan and Aberlour. 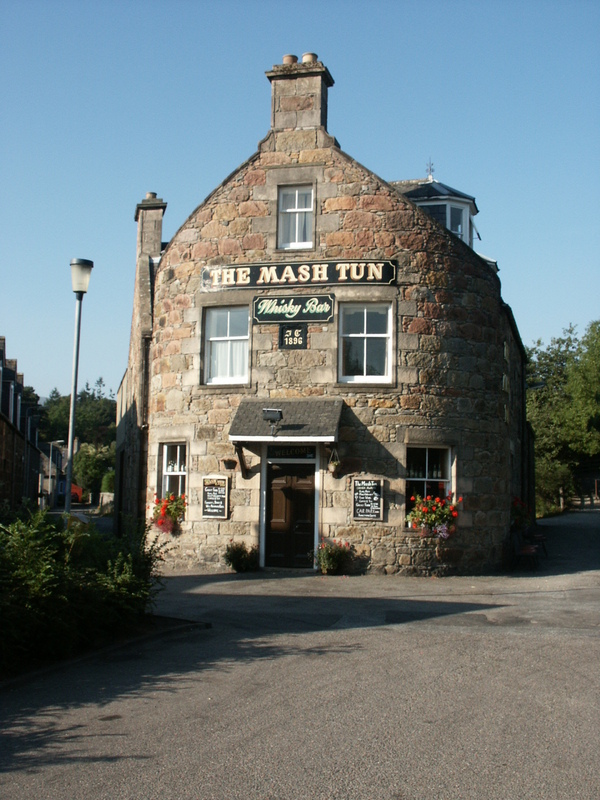 The Mash Tun provides meals until 9pm every night - as well as a good selection of whiskies - see under Drinking below. Formerly known as The Station Bar, re-named The Mash Tun following closure of the railway. Features a good selection of malt whisky, including a collection of 46 of the Glenfarclas Family Casks.